One of them, you are already familiar with (me haha) and the other one is wonderfully talented! ZNZ is a fashion collaboration between two aspiring amateur Designers, Sttudents & Friends; Zinah Nur Sharif & Zahra Bint Zak. ZBZ& ZNS are seperate collections under the ZNZ Umbrella. The aim is to provide fashionable clothing for Muslimahs Worldwide inshallah! Click here for our Facebook Page! Now you can have a sneak preview of the promo collection of ZBZ coming out soon inshallah, and you can have a look at the behind the scene of the photoshoot! Click here for the Behind the Scenes! Keep an eye open for the promo collection, the photoshoot pictures and much more! Wonderful! I'm very excited for your launch. InshaAllah it's very successful! Congratulations to you and Zahra for a job well done! 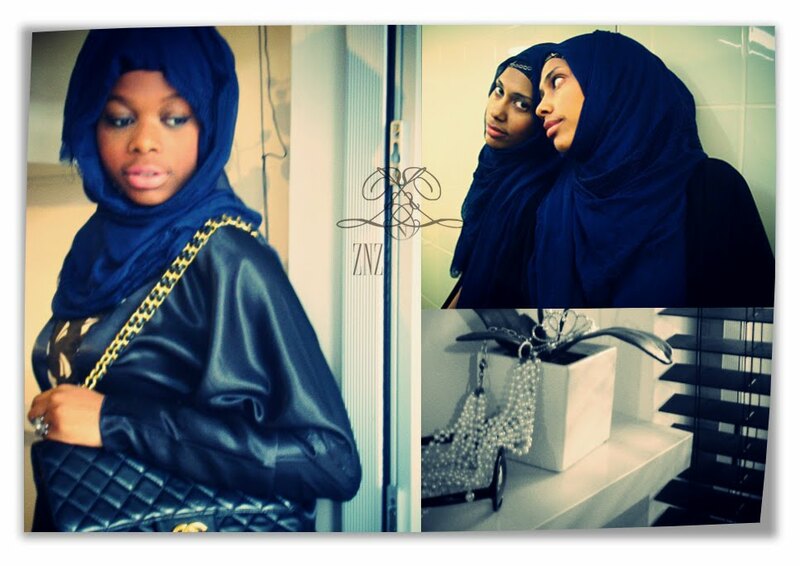 I like this blog and I like the fashions promoted for muslimahs. Great! Take care sis! thanks for visiting, commenting, and following my blog! you have a nice blog too!